In fact, you might have received queries, or seen projects asking for jobs in this field. Maybe someone ordered a smart dimmer off Alibaba and wants you to install it, or a bigger construction company hired you to do the pre-wiring work for a home. If you haven’t however, you should be in a rush to start preparing for it, because it is inevitable. Think of it this way…As more people get the newest home technologies, they’ll begin asking their local electrician for support on these technologies. And if you aren’t giving them support…Someone else is. First, let’s look at where you currently stand in the marketplace for home automation. If you have been called to pre-wire for a construction…You will understand what I describe in the text below. Otherwise, get ready for a story. 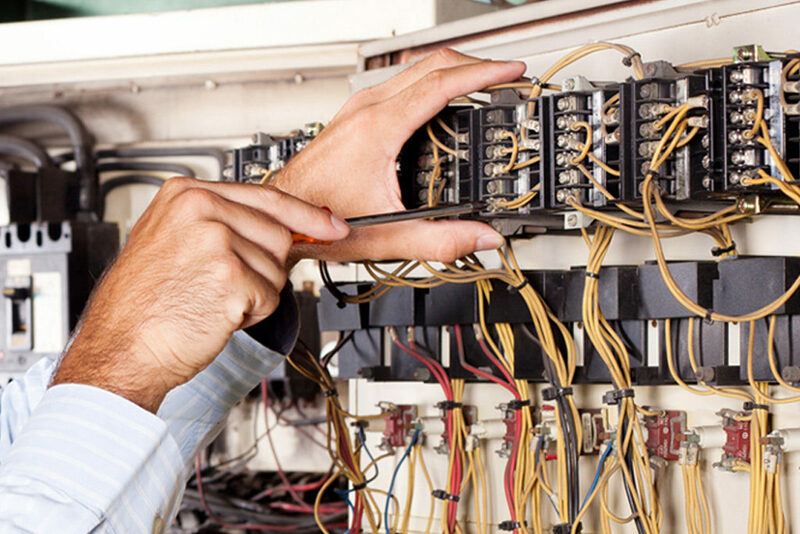 Electricians are the undoubtable experts when it comes to getting the electrical components of a home perfected. The general contractors know this. The A/V companies know this…You know this. The issue with this, is…That you are only used for your services. Obvious right? Well that also obviously means you are getting purely for the work you do. On the other side, the companies speaking directly to the customer, are making five if not six times more than you are. Guess who’s doing 90% of the work though? That’s right, you. So the mental shift needs to start here. From I am selling “my services” at my usual rate, to a I am selling “my products” at my own rate. So, until recently, most of the home automation systems were a hassle to deal with. Weeks if not months of training. You needed Installation experience. Customization experience for the end-user and so on. To become an integrator of these services, you had to devote several time to understand how each component was made, which meant more time with less pay. Which, in the end, wasn’t worth if for anyone besides companies solely focusing on home automation. Even now, there are some systems that are still like this…But, we can say the majority of the systems now are entirely wireless. There is absolutely 0 wiring involved, besides installing some dimmers on the wall. There are even training from certain companies where you can learn to install an entire home automation system, in less than a day! The point is, don’t get shafted. I say this because I see this everyday. Companies with 0 electrical experience, just focus on selling the product, then they hire you, the electrician, to install the dimmers and possibly do some integrations. Why not go through directly to the consumer? It’s going to happen regardless, so why not start while you are ahead? The best way to start is to focus where the majority of the change is happening…In lighting control. If you’ve been around for a bit, and have maintained some data on your past customers…Then you already have a series of customers that you can target to. Think of it this way. If someone got a call from their friendly electrician, suggesting them on something that will make their life easier than ever, and won’t break their pockets…Will they want to listen? I’d bet most would say yes, given that you gave them great service last time. These customers can then spread the word even faster. Right now there are 6 electrician companies, on a 2 mile radius, if you are in a mid-sized city. Imagine being the only electrician offering this system in a 25-50 mile radius (If not more!). You’d be ahead of over 150 companies, just by that fact alone. Start with a reliable company, that offers wireless solution. You need to leverage what you are good at, and products that require wiring, are just not the way to go nowadays. Bon voyage on your automation journey! To get all the newest updates on home automation, sign up for our newsletter below! If you have any questions on automation in general, feel free to contact us also!